Vallastaden 2017 is a housing expo presenting new ideas for future housing in Linköping Sweden. 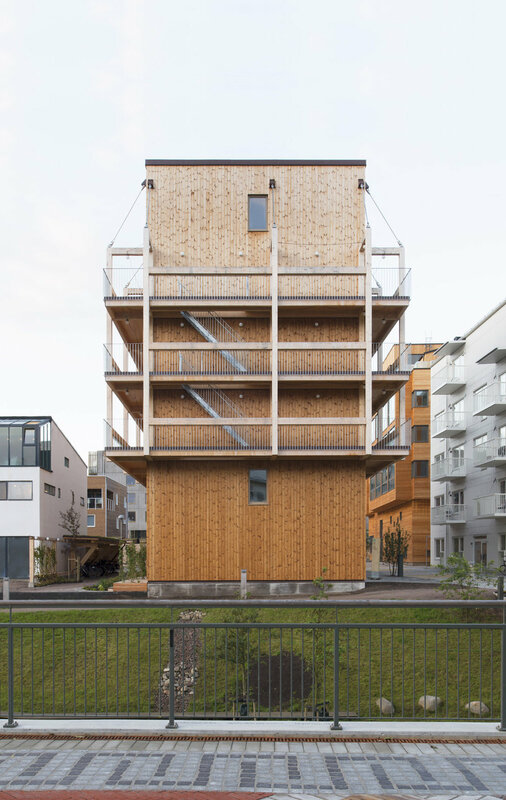 With the project “The Wooden Box House”, the Swedish architecture office Spridd provides an answer to a number of challenges in today’s building industry. The request to build sound and economically sustainable dwellings in renewable materials is a global challenge. Sweden, being a country of endless forests, has the capacity and knowledge in developing techniques in multi-story buildings in wood.